A lot of people dream of living in Europe, but are turned away by how much it can cost. And it’s true; European cities like London and Frankfurt are among the most expensive cities in the world. 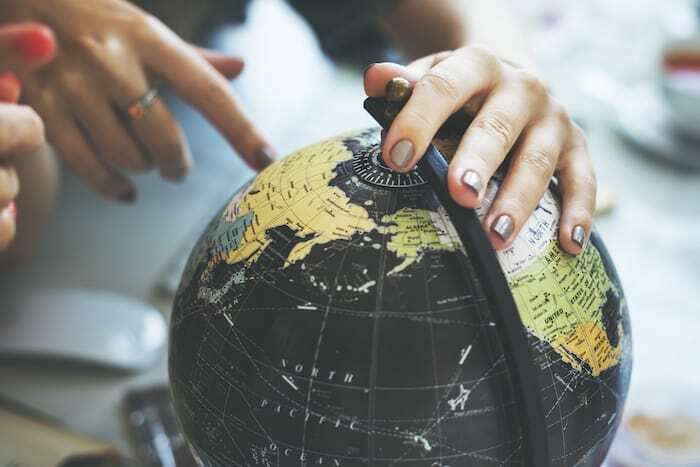 However, living in Europe is within your reach — even if you’re on a budget — by looking beyond the biggest cities and most popular tourist destinations. Throughout Europe are hidden gems like the cities below that allow you to stretch your euro further and live more abundantly while enjoying some of the world’s most beautiful cities. Of course, living in small towns or villages is always an easy way to lower your cost of living. However, for this list, we focused on capital cities and other international cities that offer a large English speaking population and the type of amenities expats appreciate. And while there are great cities in emerging Europe, we limited this list to cities in the European Union. After all, it’s hard to compare Ukraine to the United Kingdom. The cost of living in Lisbon, Portugal is lower than you might think, especially thanks to Portugal’s troubles from the global recession. Thanks in part to the global recession and its inclusion in the dreaded PIIGS, Portugal as a whole has been “on sale” over the last few years. 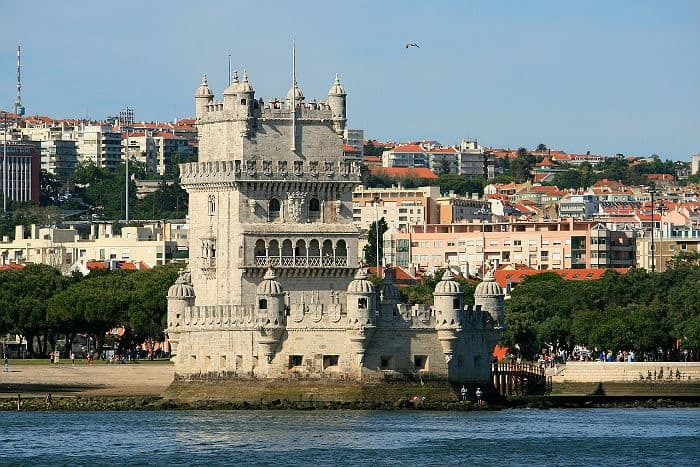 Lisbon itself never reached the high cost of living other European cities experienced, but it does enjoy a warmer climate and a more laid back lifestyle. While Portugal might not be the best place to start a business (things move a little slow), Lisbon is one of the best European cities for value and has a relatively low cost of living. Some expats have scored small, but nice city center apartments for as little as 500 euros per month. Considering all of the action in Lisbon, that low price offers access to a lot of entertainment as well as great food (which can be found on sale during daily set lunch menus). Plus, Lisbon is a small hub for air travel, with TAP Portugal flying directly from Lisbon to cities around the world — including to South America. 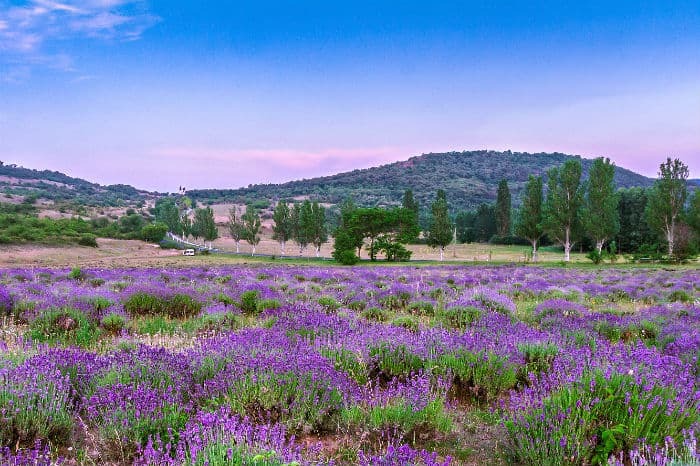 And, if you get tired of Sintra Castle or the waterfront, there are plenty of quick getaways: Porto for its port wines, the Duoro Valley for red wines, and the Algarve for sun and fun at the beach. Despite being a top tourist destination in Europe, Prague has one of the cheapest costs of living in central Europe. Ask almost any European-loving tourist about Prague and their eyes will light up. 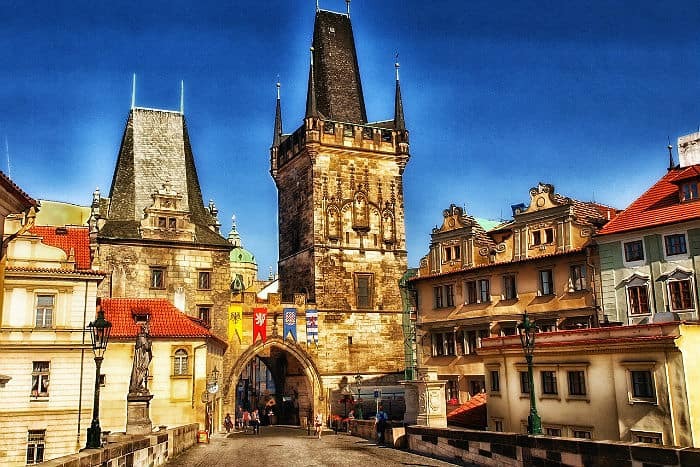 Travelers from around the world can’t say enough good things about Prague. Personally, I found the city didn’t quite live up to the hype. That said, it does have its own charm, with fantastic architecture, a bustling music and entertainment scene, and any kind of food you can dream up. Prague is about as international as it gets, with expats from all around the world. It is truly a multicultural city, so much so that the Czech government has become more nationalist on immigration. The Czech Republic uses its own currency, the koruna (or “crown”) rather than the Euro, which means prices are lower. Apartments just outside the city center can be incredibly low, especially considering their proximity to tourists. Prague is home to plenty of exciting and historical cafes and is also home to a thriving entrepreneur scene. Even though it is close to much more expensive cities like Vienna, the cost of living in Budapest is low, due in part to Hungary’s use of a worthless currency rather than the Euro. Perhaps the most beautiful city in Europe, Budapest is dripping with charm. While some European cities feature gorgeous main squares and leave much to be desired elsewhere, Budapest is inviting well beyond its gorgeous Parliament building or picturesque bridges. 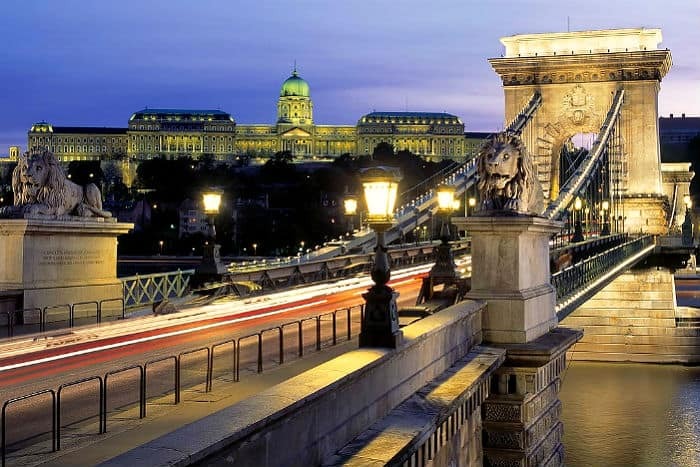 Located in Northern Hungary, Budapest is at the edge of the European Union, and prices reflect that. Hungary uses its own currency, the forint, of which $1 will buy more than 200. One expert told me Budapest just may have the “cheapest real estate of any capital city in Europe.” I found plenty of well-located, attractive apartments selling for $100,000 or less. You can rent them for an even better price; a good apartment can go for as little as 300-400 euros per month. Budapest’s tree-lined streets are perfect for a Sunday stroll, while its stunning historical cafes offer location independent types a great place to work. Meanwhile, tickets to the opera can be as low as $6. Budapest still has some of its old communist feel — such as on its older Metro lines — but things above ground move at the same pace as anywhere else in Europe… but with a lower cost of living. One of the hidden gems of Europe, Riga is proof that living in Eastern Europe can be quite enjoyable for expats. Riga is one of Europe’s hidden gems. It is proof that Eastern Europe isn’t just the remnants of the old Eastern Bloc. While Lithuania has its own charm (and relatively low price), Latvia is even better when it comes to low cost of living. And Riga is arguably the most charming, picturesque city in the Baltics. Real estate in Riga is on the upswing now thanks to its ascension to the Euro currency; however, renting an apartment is still incredibly affordable. So is eating out. Business class restaurants offer excellent daily lunch specials for great prices. The same can be said for alcohol. In fact, Riga is an all-around affordable place to live — one of the best cities in Europe for getting the most value out of your money. 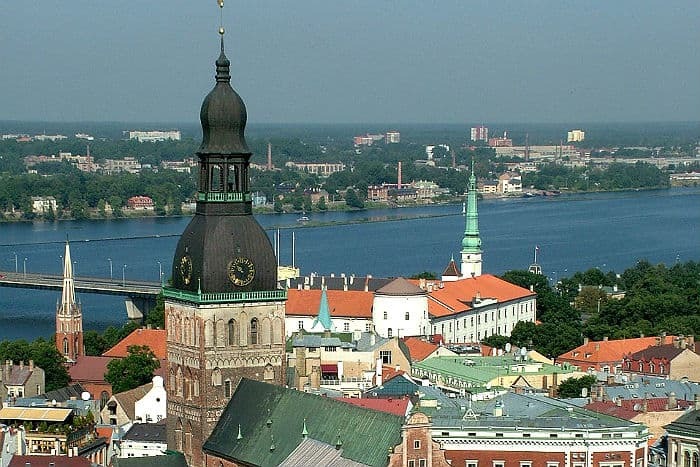 While Estonia to the north has become rather pricey thanks to Finnish tourists arriving on daily ferries, Latvia has yet to see as much tourism and instead has received many Russians who have chosen to settle there via the country’s immigrant investor scheme. While several cities in Poland came to mind for our list, Krakow’s combination of tourist-friendly charm, Polish hospitality, and low cost of living gave it the top spot for value among all cities in Europe. On the whole, Poland offers one of the best values for living in Europe. So much so that my recent stay at the upscale Westin Warsaw cost only $64 a night. While the capital city isn’t much pricier than some smaller cities to the south, Krakow is really where it’s at. Tourists are drawn to Krakow’s charming architecture, beautiful parks, and great views of the river from the top of an ancient castle. Frankly, any number of Polish cities could have made this list. Student-friendly Wroclaw is also a great place to live, but lacks the gorgeous sights Krakow offers. 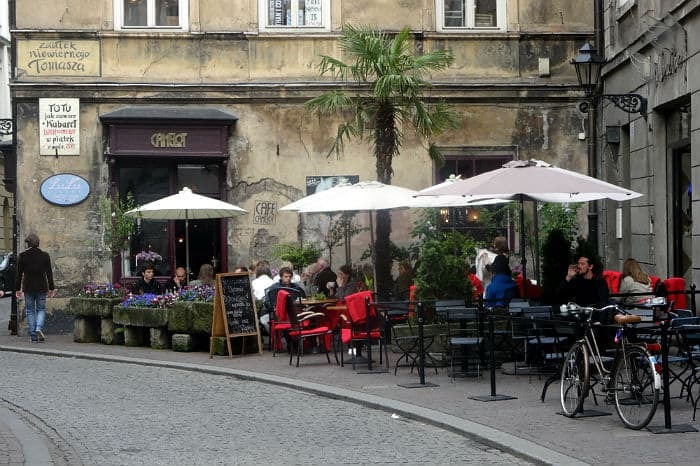 And get this: Krakow actually has a lower cost of living than Wroclaw and Warsaw. Krakow offers all of the charm and amenities of Western Europe at Central or even Eastern European prices. Krakow is a bit isolated, requiring a long train or bus ride to get to major airports like Prague or Warsaw, but the low cost of living — bolstered by Poland’s own currency, the zloty, not the Euro — makes up for it. If that weren’t enough, Polish people are some of the most approachable in the region. There are other great European cities with lower cost of living than you might think. Of course, we had to keep it to five, but do your research and you just might be surprised. For example, Bruges, Belgium is a top tourist attraction dripping with charm, yet apartments there go for as little as 400 euros per month. 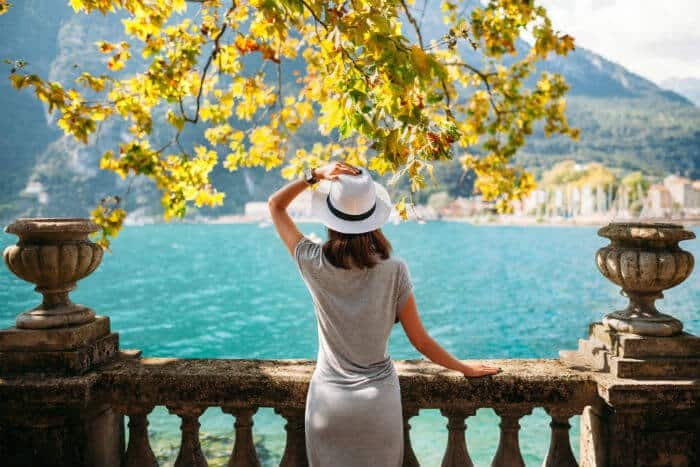 If you’re looking to live in Europe, consider these big city alternatives to keep your cost of living low and still enjoy an abundant European lifestyle of your own. What do you think of these “best value” European cities? Leave your comments on finding low cost of living in Europe below. Share the post on social media (under “Want to see number one? Just click below…”) to see the top listing. I’ve been to all of those cities except Krakow. I have lived in BUD, PRG and Bratislava and for a short time it’s ok. Longterm I don’t think I would want to. Corruption is bad 20+ years of independence but mindset can still be commie and xenophobic. I really liked this article! Thanks for sharing it with us! Regards from Venezuela! Mostly agree with the statements about Budapest. Value and cost of living is what the article is about. But, long term living brings up other aspects of the equation that’s more important. Ability to do business locally if your not a remote worker and the mentality of the people. The mentality of the people are very different in these places. The ability to accept the local mentality is a subjective issue.